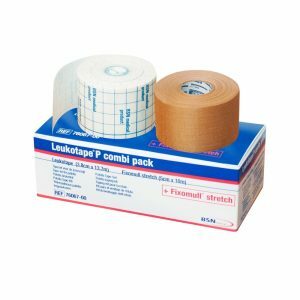 Without a doubt this is the best tape for Patella taping. Complete with underwrap to protect the skin. Perfect if you are not sure how to tape! In this instructional video Claire talks you through taping to correct the position of the patella from out to in, and also how to take pressure off the fat pad which lies just under the knee cap. The video link is emailed to you and postage for the tape is Royal Mail 2nd Class.